Following the initial flurry of criticism (I would hardly call it a storm as other commentators have done) for Google Buzz, the search giant’s social network offering, the service has been running for nearly two weeks and tens of millions of users have tried it and continue to post thousands of posts and comments every minute, so it looks like it is here to stay. I say that’s a good thing, as Buzz is more than just a flash in the pan – its integration with GMail makes it a powerful networking ally, letting users post status updates, share content, read and comment on their friends’ posts. Although they made a hash of the launch by not fully testing the service with a full beta testing group, Google has addressed the initial concerns (and I am sure that won’t make a mistake like that again) and users seem happier with the revisions. The service has of course lost some traction, but the nature of social networks means that this will only be a temporary setback as friends connect with their friends and the inexorable rollout goes further and further. As Google’s first foray into integrated social media it’s a step in the right direction. It will clearly develop further (and most likely even further than Yahoo’s similar service) and at least addresses Google’s lack of social media activity since Orkut, which has been overshadowed almost everywhere in the World (except South America for some reason). At least Buzz has avoided the fate of the Facebook/Beacon ad fiasco, which was terminated in 2009 for violating privacy. So, go and create your Google Profile to ensure that others can find you, and try Google Buzz as a way of staying in touch. 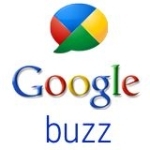 See the official Google Gmail Blog for 5 Buzz Tips to get the most out of the service. Please get in touch if you want to know why you should be using this or any other social networking tool for your business or charity.